Why must restaurants post calorie counts, but not allergen lists? As part of the massive health care reform act that President Obama signed into law early last year, restaurant chains with more than 20 locations must post calorie counts on print, display, and drive-thru menus. 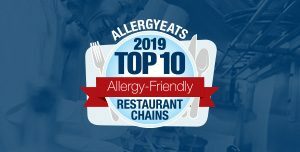 Unfortunately, there are no regulations requiring restaurants to post allergen information, despite the huge need among the food allergy community. While it is generally accepted that the obesity rate is soaring in America, so are the number of people with food allergies. More than 12 million people in the US have food allergies, or 4% of the population. That number is even higher for children under the age of 3, at 6%. Additionally, another 3 million people have been diagnosed with Celiac Disease. 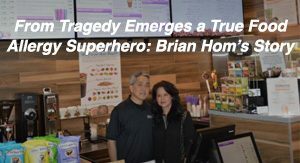 Since the time when the health care law was first being considered, I was bothered by the following: Individuals who regularly eat high calorie restaurant meals will likely gain weight over time and are setting themselves up for significant health risks, possibly including earlier death, down the road – obviously nothing to take lightly. However, individuals who accidentally eat a meal containing a food they are allergic too can have severe health effects immediately, potentially even fatal! Now don’t get me wrong – I’m not trying to minimize obesity concerns. 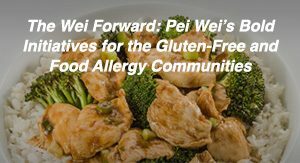 I am however frustrated, since posting food allergen information can help protect the lives of the huge, and growing, food allergy population TODAY? And what really gnaws at me is this – how difficult would it be for restaurant operators to create simple allergen lists if they are already going through the very complicated process of determining detailed health information for each item on their menus?! That is the enigma that drives me… well, “nuts”… every time I hear about calorie counts. Massachusetts recently passed legislation around food allergy training in restaurants, which is a tremendous victory for our community. However, while the new policies are certainly a step in the right direction, they don’t go far enough, in my opinion (see “Massachusetts food allergy law goes into effect… but is it enough?” – www.allergyeats.com/blog/index.php/massachusetts-food-allergy-law). Why not require restaurants to list at least the Big 8 food allergens on their menus (or have lists handy with this information)? Many thought-leading restaurants – and some that aren’t thought-leading – already do this. Food-allergic diners have become accustomed to asking servers questions about ingredients, kitchen protocol, and cross-contamination. 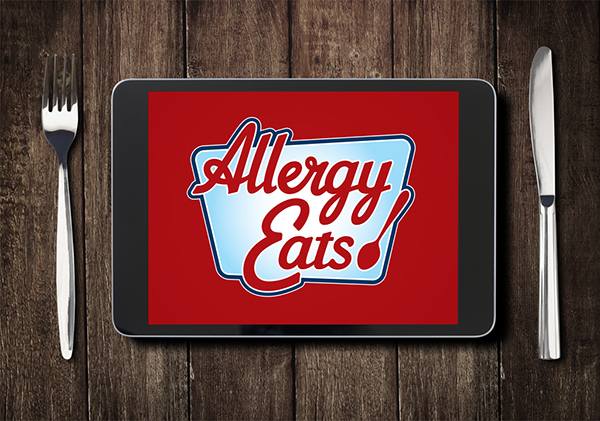 If restaurants were required to maintain accurate, up-to-date allergen information for each of their menu items (as they will have to with calorie counts), it would serve as an additional safety mechanism for our food allergy community. 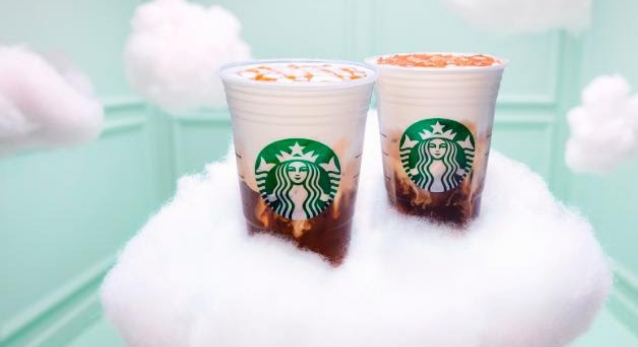 This, of course, could also drive more customers, and profits, for the restaurants. The government has focused their attention on calorie counts, even though it’s pretty obvious that a bacon double cheeseburger and fries have more calories than a plate of steamed fish and vegetables. It is far less simple to determine if a meal you have been served contains specific food allergens, even after visual inspection. Professional and consumer groups are applauding the calorie-posting law as a victory, calling it a valuable new tool to fight obesity. But will it really make a difference? Will customers actually decide not to order a big plate of nachos because the calorie count is now posted on the menu? Did they not already realize that tortilla chips piled high with cheese, sour cream and bacon is a calorie bomb? The answer, according to the first study I’ve seen on the subject (which came out a few weeks ago), is no! The posting of calories and other health information had no impact on the dining behavior among customers of the restaurant chain used in the study. The food allergy community is very concerned about food safety, yet most state and regional government bodies are, for the most part, ignoring this issue. The Massachusetts food allergy rules are definitely a step in the right direction, but these laws need to be more far-reaching, both in terms of content and geography. If the federal government can pass calorie posting legislation then, in my opinion, there is no reason that food allergy policies with national reach shouldn’t be considered. Will it take a high-profile tragedy to spur them to action? I fear so. What do you think? Am I minimizing the obesity issue in this country? Am I right that food allergy legislation could’ve easily been included in the calorie posting law? 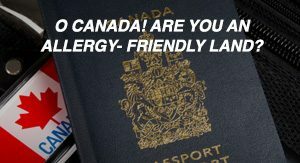 Do you think we will ever see meaningful, national food allergy laws? Add your thoughts below by clicking on Comments or Reply. I am sure this piece is eliciting a huge range of differing opinions and I want to hear yours! 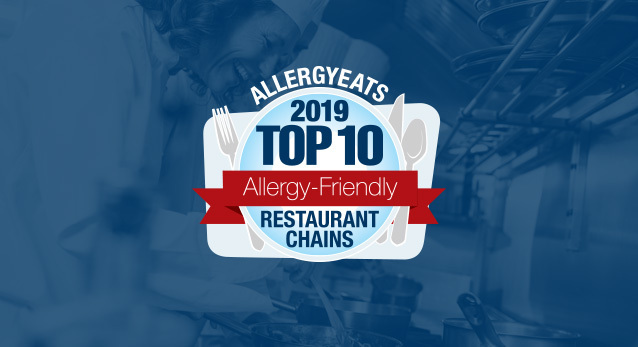 And please take this opportunity to further build a tool that is helping our food allergic and intolerant population dine out more comfortably today – AllergyEats (www.allergyeats.com). Please go to our main site and rate any restaurants you’ve dined at recently. It only takes a minute to rate a restaurant, but each rating makes the site more valuable for all of us. Since we’re bringing up the subject, if retaurants are willing to go through the trouble to gather info about gluten free menu items (sorry all of you with celiac disease), why can’t they just list the 8 top allergens? Most of us are smart enough to know that cross-contamination is a possibility, ingredients can be unintentionally added, etc., but if we don’t have the basic info about what the food contains, how can we possibly make a decision other than to not frequent the restaurant. I am planning a vacation and would like to be able to take my family to a restaurant that is not one of the nationwide chains that seem to have their act together and lists allergens on their website. I have found that getting this information (even after contacting the place by phone)is almost impossible. Do smaller restaurants really not have that information??? I doubt it. Bring on your diclaimer – I just want the facts! I had the same reaction to the new law: while they’re at it, why not create a useful list of ingredients and allergens? I think we will get there, with the increase in food/labeling regulations. One possible concern on the part of restaurants is risk of liability; the stakes are much higher and the causation much clearer when they make a mistake about allergens than when the calorie count is off. That’s present in labeling laws and general food service already, however, and isn’t an excuse. But I suspect at this point most General Counsels for large food chains would rather lose our business than invite the reliance that exposes themselves to potentially high-dollar lawsuits. I agree with Marina- that companies would rather lose our business than risk a higher-dollar lawsuit when someone has an allergic reaction. Putting the calorie count on most foods seems ridiculous- a reasonable person is well-aware that nachos are high in fat and calories, and lean chicken/fish and veggies are not. This seems to be just another “action” so people can feel they are doing something about a problem, but aren’t really. You can’t make someone change his/her eating habits and desires, that person needs to _want_ to make a change. Show me a child who has been given candy and junk food who will choose fruit and veggies instead. Without the right guidance, children will choose the colorful, sweet, and tasty stuff that is abundantly available. The problem is much more than calories and fat; it goes back to teaching children to make healthy choices. I have wondered the same thing – I can get calorie counts, but not ingredient lists. I understand that some recipes are supposed to be confidential in some cases, but you can still tell me what’s in the meal without giving me a play by play of how much and how it’s put together. I think the situation has already changed and most of the restaurants do post calorie charts now-a-days.